They say that for a reason. With the Beacon building’s central location, you can walk to the Blue Dome district, the Brady Arts district, the courthouse, and all of the great restaurants, events and shopping downtown Tulsa has to offer! Park once and work, eat, explore and be entertained! The hottest concerts, games, and events are just blocks away from your office at the Beacon building! Designed by César Pelli, Tulsa’s BOK Center is host to the Tulsa Oilers Hockey team and has hosted acts such as Garth Brooks, Madonna, the Eagles, Paul McCartney, Billy Joel, Elton John and many, many more. 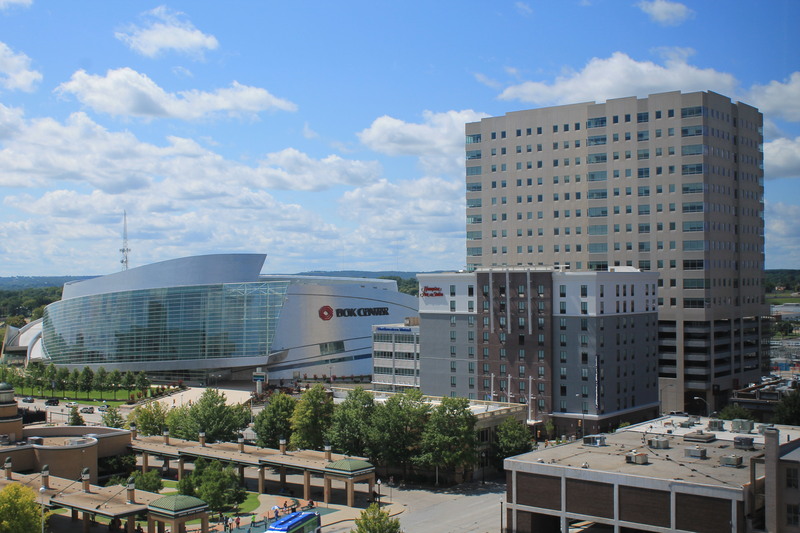 Just check out the fabulous view of the BOK Center from the eighth floor of the Beacon in the picture to the left! 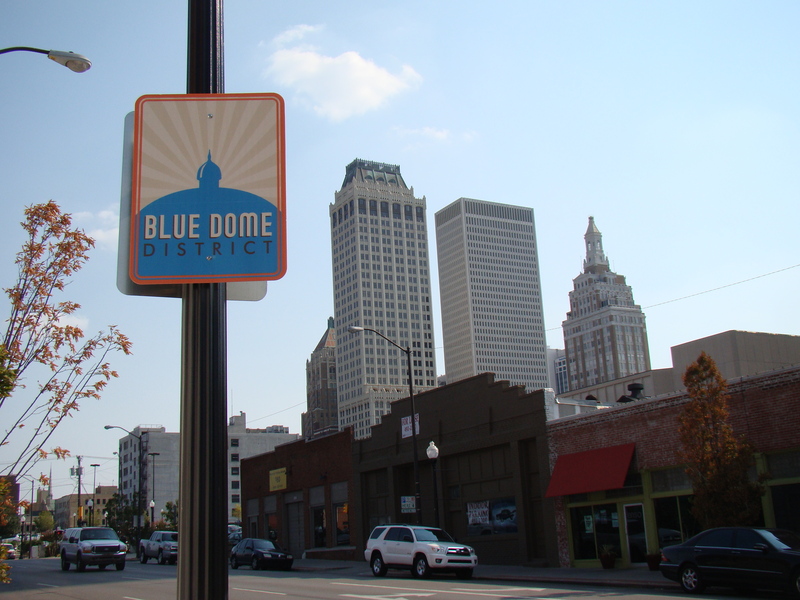 According to the Blue Dome District website, it is “one of Tulsa’s most popular entertainment districts. Located at 2nd & Elgin in downtown and anchored by the 1924 Blue Dome building, it offers a great nightlife scene and nice selection of restaurants. It is often considered the place to go before and after a big show or just to relax with friends. The district has a down-to-earth vibe that is very welcoming to both local and visiting guests. As the Blue Dome District has grown, bars and restaurants have been joined by retail shops, commercial properties, fine dining, an art studio, salon, comedy club, bowling alley and residential developments are now in the works as well. Check out the Brady’s website to see all the area has to offer. 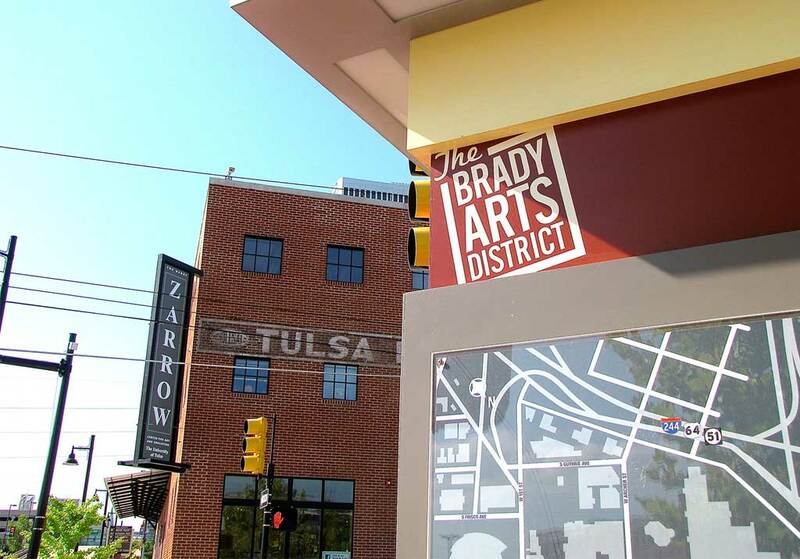 “The Brady Arts District is home to retail and service shops, restaurants, bars, clubs, galleries, museums, parks, private businesses, residences and historic music venues. Plan to Arrive Early and Stay Late in the Brady Arts District!” Don’t miss the First Friday Art Crawl each month and Food Truck Wednesdays – you can walk from your office at the Beacon! We know much of an attorney’s time is spent traveling back and forth to the courthouse. The Beacon’s proximity to the courthouse makes it an ideal office building for your law office. 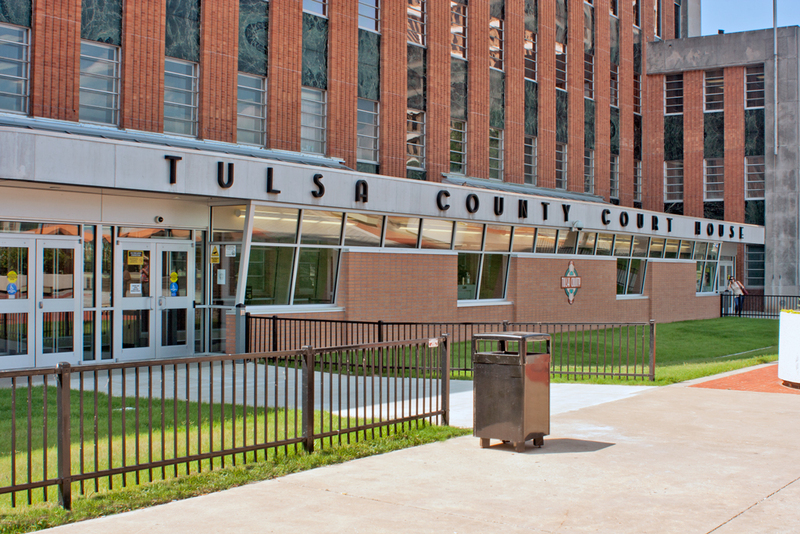 Less than a five minute walk to the courthouse will free up your precious time while making your work day that much easier. Located only 3 blocks from the Beacon, it’s no wonder why so many attorney’s choose our offices as their own. Tulsa is known for its art deco architecture, the Beacon building being a prime example. The area in which the Beacon lies is the Deco District. 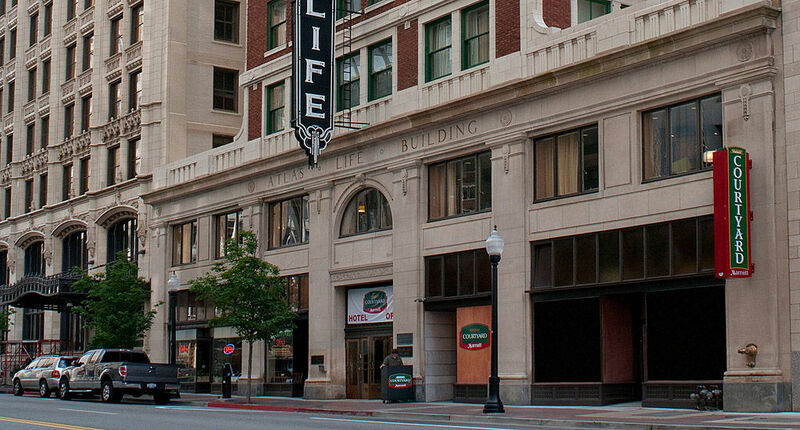 Made up of many art deco buildings filled with a plethora of local businesses, restaurants, shops, entertainment venues and events, this unique district celebrates Tulsa’s art deco history and everything modern downtown Tulsa has to offer. Tulsa’s Deco District is a unique place full of history, charm, local arts and delicious dining. And with your office at the Beacon, it is right outside your door.